Pack a twilight picnic for a concert with a difference on Wellington’s popular Oriental Bay beach. The much-loved Wellington Citadel Salvation Army Band will light up the harbour with their resounding brass harmonies, as they perform from the deck of a mighty waka hourua (traditional double-hulled sailing canoe) moored just off-shore. Relax and enjoy popular show tunes and family-friendly classics with your loved ones in this stunningly picturesque city setting. 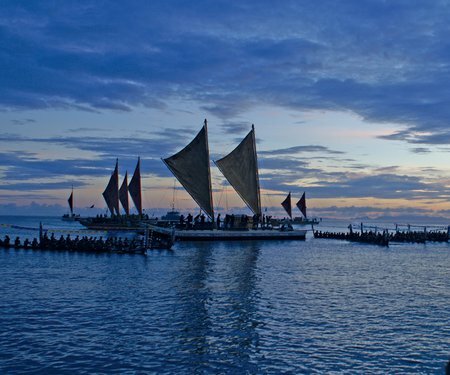 Brass in the Bay is a Kupe Dreaming event and part of A Waka Odyssey, a celebration of our place in the Pacific that includes the spectacular Kupe: Festival Opening Night. Download the A Waka Odyssey flyer to plan your journey. Follow A Waka Odyssey online. Join our fleet of Pacific sailing waka and their heroic crew on an adventure of a lifetime, across the Pacific Ocean and around Aotearoa. Sign up for Festival email updates and become part of the story. As dusk falls, join a cast of thousands on Wellington’s stunning waterfront for the once-in-a-lifetime 2018 New Zealand Festival opening night event, Kupe. We are a nation of voyagers. Our ancestors crossed oceans to find this place we call home. 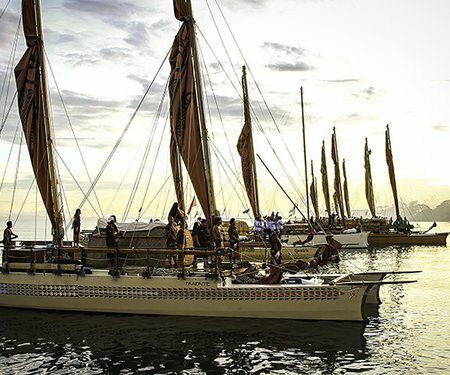 In A Waka Odyssey, we rediscover our voyaging past, our place in the Pacific today and a way to a better future. Get our newsletter for updates and deals. Follow us on Facebook or Twitter or Instagram. Up your arts by reading our ARTicle magazine. Join The Culture Club for pre-sales & exclusive events.